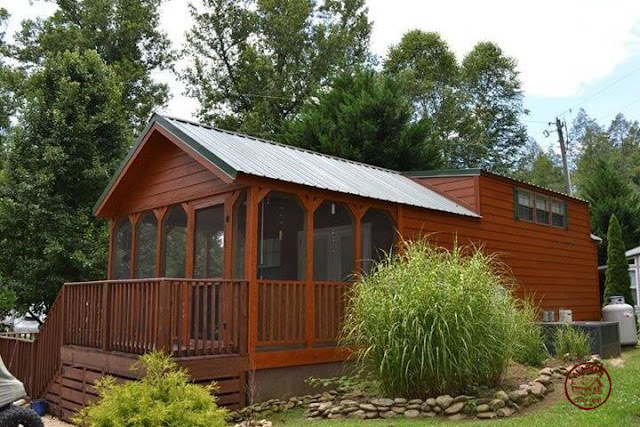 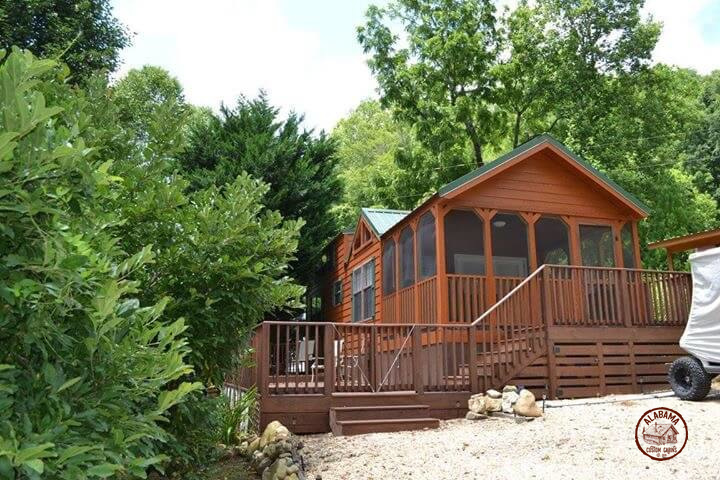 Whether you're looking for a cabin getaway or a park model home, the ACC-02 model from Alabama Custom Cabins is a great choice! 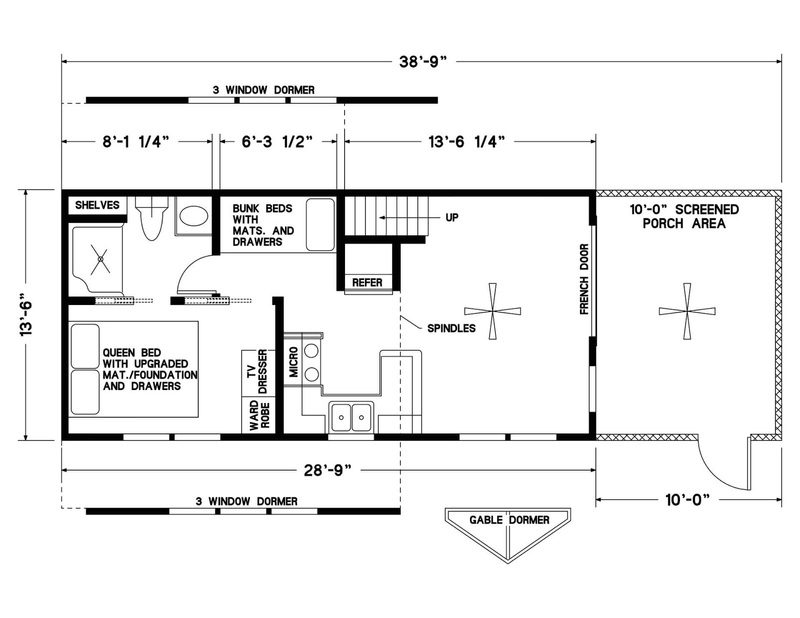 The home has two bedrooms and is fairly spacious with an interior size of 28'9" x 13'6" and a roomy adjacent screened porch. 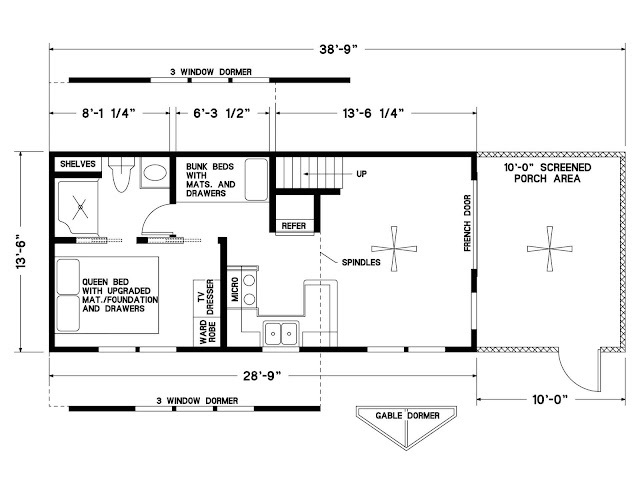 The master bedroom comes with a queen-sized bed, a wardrobe, and a dresser. 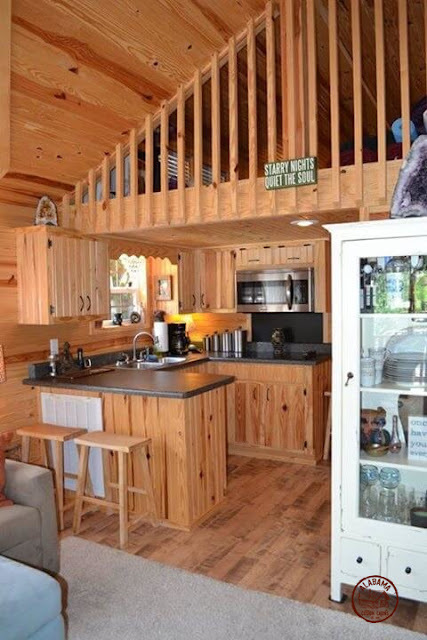 There's also a second bedroom with bunk beds, a kitchen, bathroom, and a comfortable living room. 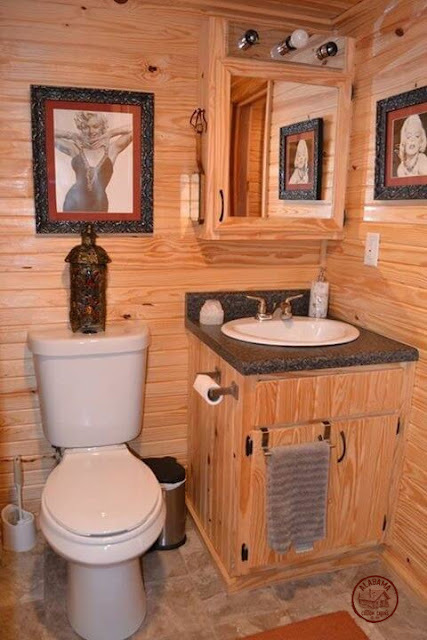 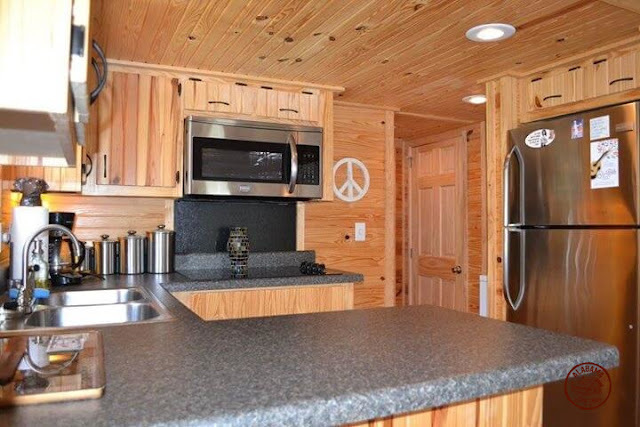 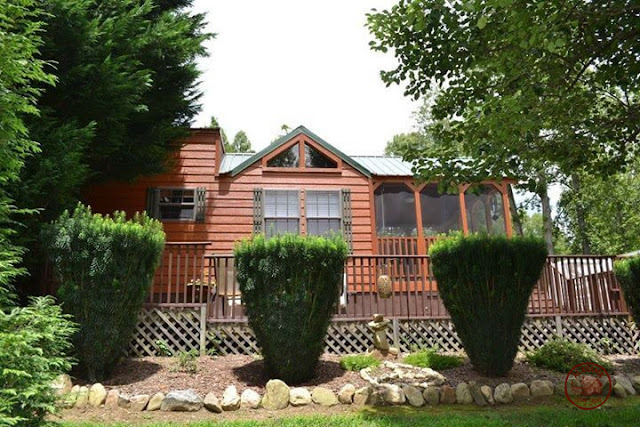 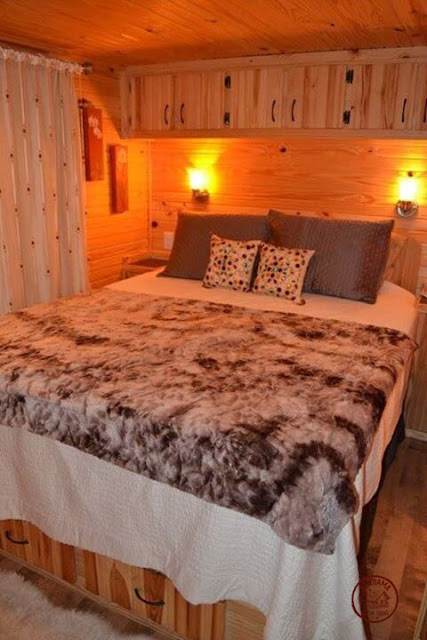 For more information and/or to order a cabin, contact Alabama Custom Cabins here! 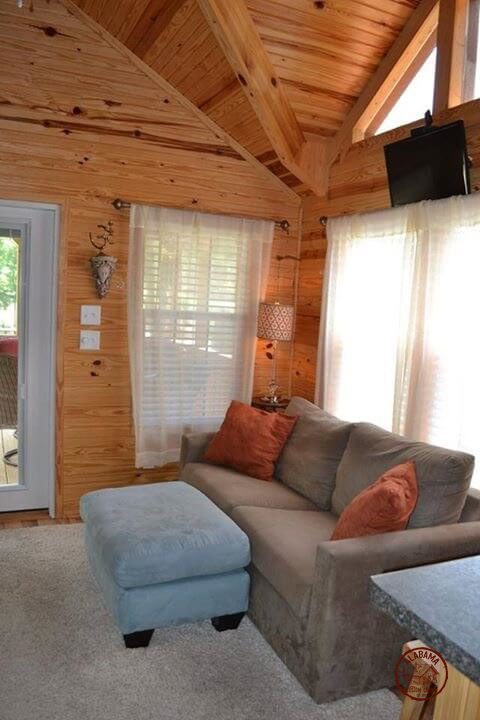 Also be sure to check out the Kelsey Cottage by the same builder!